Over the past couple decades, lockouts have given the NHL’s management and leadership a terrible reputation in the eyes of their fans. Well, they finally did something right. Yesterday, the NHL became the first North American sports league to officially partner with the You Can Play Project, a movement dedicated to the eradication of homophobia in sports. In fact, since its launch, the You Can Play Project has been publicly backed by numerous NHL players, including stars Henrik Lundqvist, Claude Giroux, Rick Nash, Zdeno Chara, and Daniel Alfredsson. To me, this is a no-brainer for all sports leagues, but especially for the NHL. One of You Can Play’s founders, Patrick Burke, the son of hockey management legend Brian Burke, started the project last year in memory of his brother Brendan. In 2009, Brendan, who was the student manager of Miami of Ohio men’s hockey program, publicly came out of the closet with the unwavering support of the RedHawks team. It’s nice to know that the hockey will be on the right side of history. I’d like to also point out that Major League Soccer publicly supported the movement this past fall. I hope more leagues follow suit. Simply stated, barriers do not belong in the sporting world. Participating in sports provided me with countless friendships, priceless memories, and personal development. Everyone should have access to those great experiences. If you can play, you’re welcome to play. I don’t usually put a curse on these type of things, that is, unless I’m making a monetary wager. BUT I DIDN’T. Actually, TheOrangeWedge has a guy for sports betting, but we’ll get to that another time. The record still stands. Did Jerry West pop a bottle of champagne? I’d love to say yes, but we’ll never know for sure. The Bull’s physical brand of basketball was enough to hold off the Heat as the Bulls ended the streak last night with a 101-97 victory. The Heat didn’t win 27 games in dominating fashion. In fact, eleven of those wins needed fourth quarter comebacks to keep the streak going. Tight games in Sacramento, then Orlando, then Boston will have LeBron and Co. battle-tested come June. But do they even need it? The way they’ve been playing, it would be lucrative to think that anyone could beat the Heat once, let alone four times in seven games. In the late game, my Brooklyn Nets looked in fine form without “Iso” Joe Johnson for a second game. Johnson is suffering from a quad bruise, and his absence allows for two developments. First, Deron Williams, on what look like his healthiest metatarsals in years, was allowed to be more aggressive to the basket. The second is that without Johnson, the Nets are bigger, tougher, and more active in the post. Last night was all about the latter, as the Nets looked great on the road, winning 111-97 in Portland. The difference maker for Brookyln was Reggie Evans, who finished with a career high 26 rebounds to match a career-high 22 points. Evans was a monster, working all his post moves and getting putbacks all night long. The Nets are now just 2.5 games back of both Indiana and the Knicks for the 2nd best record in the Eastern Conference. Last night’s win has to provide some motivation as they move to 4-1 on their current 8 game road trip. As for the Blazers, last night may have effectively ended their season. Rip City has been fighting for the 8th seed in the West, but now trails 10th place Dallas by two full games. Late in the fourth quarter, Blazers coach Terry Stotts emptied his bench, a sign that fans may want to watch the Sweet 16 for potential lottery picks. In a month nothing but the Heat will matter in the Easter Conference, so for now let’s talk a little Knicks. Boy, November feels like ages ago; when Rasheed Wallace was backing down fools in the Garden and teams were still lazy on defense. But as they begin their annual slide down the East standings, the Knicks are hurting right now in more ways than one. It’s more than watching Tyson Chandler crumpled on the floor before the half of last night’s 23 point loss in Denver. It’s more than Carmelo, in his first game back in Denver, was awful from the field, clearly hindered by swelling in his right knee. It’s way more than Amare Stoudemire, who, despite playing somewhat effective basketball for the past three weeks, is back in a suit and will never be a consistently healthy athlete ever again. The Knicks, in the midst of a brutal five game road trip, are being exposed as mentally weak as well as physically unstable. This is the second consecutive game that was over in the 3rd quarter, and they still have to travel to Portland and Utah, who are combined 43-19 at home. Between those games is a matinee with Lob City, maybe the worst matchup for the Knicks right now. The athleticism and youth of the Clippers might make Kenyon Martin pass out. Kenyon Martin. We need to talk about the Knicks rotation right now. This roster is filled with jump shooters, but now that the Knicks are running out of big men, there’s no way this team can compete. James White is getting more minutes, but from what I’ve seen thus far is best skill is without a doubt fouling. Iman Shumpert looks to be getting back to full strength, but his offensive game is so limited right now he can’t be the primary weapon on the floor. And that leaves me with J.R Smith, the man I’d never want to play a game of pick-up hoops with. Smith is one of the NBA’s most frustrating scorers. The definition of streaky, Smith will occasionally make an improbable highlight-reel worthy shot, giving him liberty to jack up 20 more. But now with all the injuries, Smith has gone from a spark off the bench to depending on his shooting to generate offense. And it just isn’t working. Have the Knicks been quitting? That’s not fair to say. But this team desperately needs rest, and they aren’t going to get it right now. The Knicks have one of the oldest rosters in the NBA, and right now it is a glaring flaw. Because not only to the best teams in the league right now have youth, most of them like to run. A lot. And from what I’ve learned, old guys don’t run like young guys. I’m not saying the Knicks won’t make the playoffs. 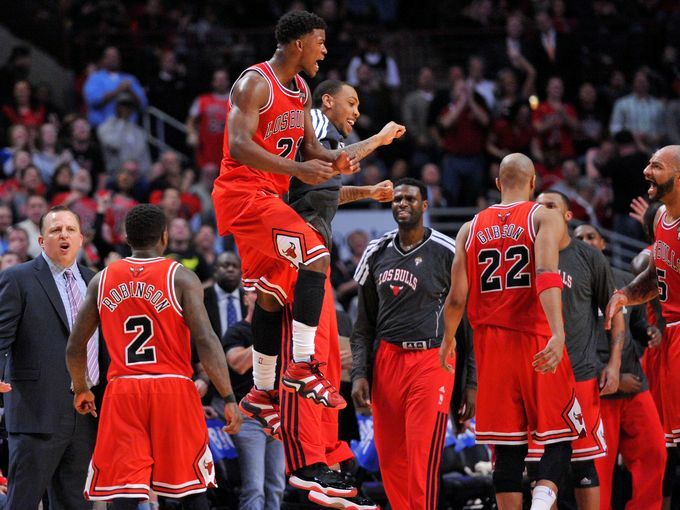 Hey, if they end up paired with the Hawks or Bulls, they might even grab a win or two. But this is a fighter on wobbly legs. And whether they realize it or not, they just can’t seem to punch back as strong as before. 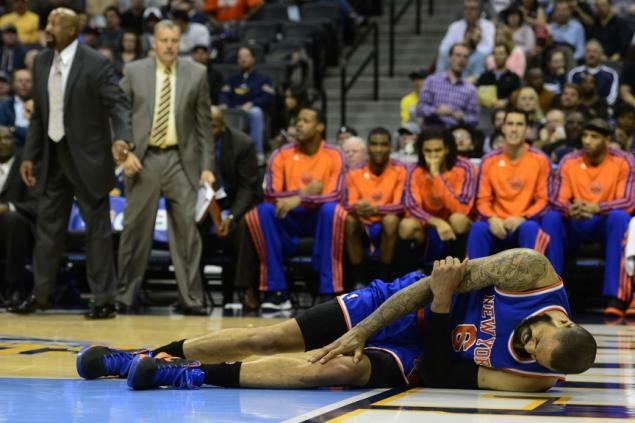 We’ll update this situation as we learn more about the knees of Melo and Chandler. Stay tuned. Most of the teams in this year’s field have already done enough to punch their ticket to the big dance, but some squads could use another quality win or two on their resume. This brings us to Championship Week, when teams that haven’t won enough regular-season games have the chance to come out of nowhere to win their conference tournament and “steal” a bid away from an at-large team. 37 bids are up for grabs, but after all of the “locks” are accounted for, that leaves just 6 bids. Today we’re going to look at ten teams from various conferences. These teams, which are certifiably “On the Bubble”, need some help over the next few days but are still in contention for the aforementioned final 6. The number-crunching and bracket-building all stops on Sunday, but for now it’s Bubble Time! Baylor (18-13) – The Bears got a huge win last week, beating Kansas by 23. This bumped Baylor back up near the cut line, but right now they are still on the outside looking in. Scott Drew’s team draws Oklahoma State in the first round of the Big 12 tournament on Wednesday night, an opportunity they cannot pass up. Should the Bears lose they will have 14 losses, more than any team on the bubble, and will have to sit around waiting for the rest of the tournament pieces to fall into place. If Baylor can beat Oklahoma State however, they’ll most likely have done just enough to land on the right side of the bubble. Boise State (21-9) – Boise State has been one of the most underrated teams in the bubble conversation. Not only are the Broncos the only team on this page with 4 top-35 RPI wins, they’ve also got the second-highest RPI, after Temple. The biggest blemish on this resume is the low non-conference strength of schedule, a measly but not crippling 217. If the boys in blue can beat San Diego State for a second straight time in Thursday’s Mountain West quarterfinal, they will be in for sure. 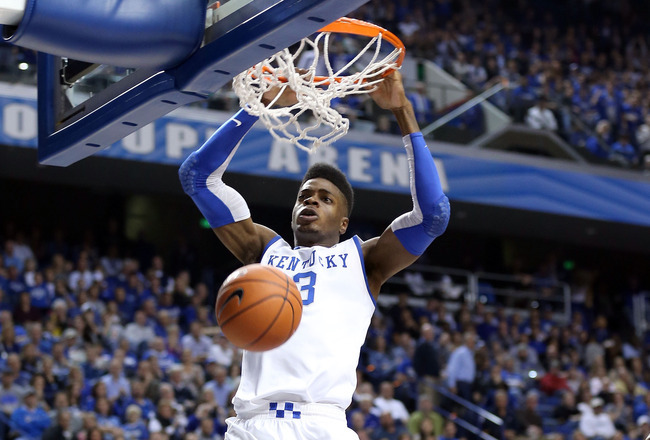 Kentucky (21-10) – One of the most intriguing bubble cases comes in the form of the defending champions. Granted, this team only returned 4 players from last year’s title team, none of which started in either season. The loss of star center Nerlens Noel a month ago nearly crippled this already under-performing team. But a recent win over Florida cat-apulted these Cats back into serious consideration. The Wildcats draw either Arkansas or Vanderbilt in the first round of the SEC tournament – a loss to either could drop them off the bubble for good. In the semis they would most likely draw the Missouri-Ole Miss winner. A win over one of these two teams could lock up a bid for John Calipari’s squad. However being that this game won’t take place until Saturday afternoon, mid-week bid thieves could make this another do-or-die game for the Cats. La Salle (21-8) – La Salle has a very simple tournament path laid out – Win and you’re in. The Explorers get a bye to the Atlantic 10 quarterfinals, where they’ll face either Dayton or Butler. If it’s Dayton, they need to win to avoid their second sub-100 RPI loss. If they draw Butler, a win would be their second over the top-20 RPI Bulldogs, and would validate an already impressive resume. A loss to a very good Butler team probably wouldn’t hurt, but with the rest of the bubble teams trying to win important games at the same time, it could set them behind the rest of the field. That’s the first five. But these teams do not have their spots reserved by any means. Which other teams want to take their place? Check back at lunchtime to find out, and we’ll also tell you which ones will actually have their names called come Sunday. NFL free agency is set to begin at 4 p.m. today, and TheOrangeWedge is as excited as ever to break down all the happenenings. Today many big names are waking up to their names all over the media, and could potentially finish the day far richer than they started. But getting back into the workforce isn’t always easy. You need to be ready, and you need to be prepared. That’s why some of the top NFL free agents have highly sought-after resume coordinators. We happen to have gotten in touch with one of these men, and are here to bring you an NFL exclusive report. 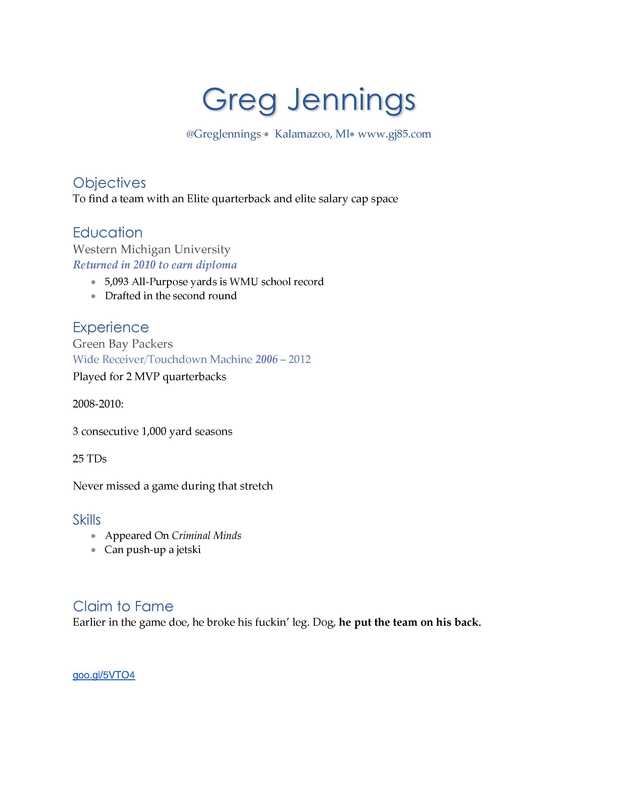 Here are some previously never-before-seen images of resumes being sent to all 32 general managers today. Enjoy! 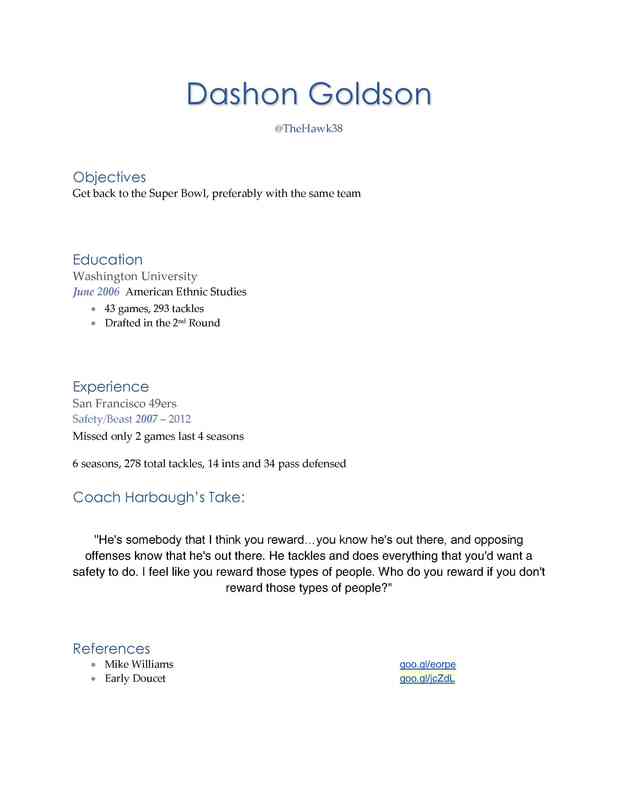 **Edit: Goldson attended the University of Washington, not Washington University. Blame his agent. Do you think having a resume will help these job-seekers? 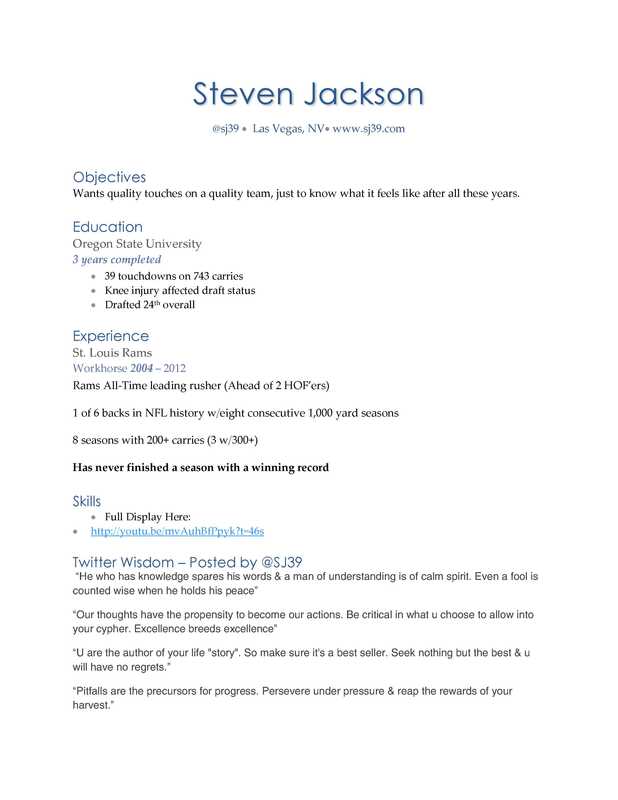 Perhaps Goldson should have included a cover letter? Lets us know @TheOrangeWedge. As the new hockey guy at the OrangeWedge, I’m joining the writing team at an exciting time. After an embarrassing 113 day lockout, the 2013 NHL season is about halfway finished, and the league is as popular as ever. That is, as popular as ever among long-time hockey fans. The big story of this year has been the Chicago Blackhawks’ miraculous 22-game point streak. As a Detroit Redwings fan, it sickens me, but I have to tip my hat and say well done. After the Hawks and the Wings faced off this past Sunday, in NBC’s second most viewed hockey game in history, ESPN was forced to properly highlight the achievement. How did they bring attention to this historic streak, you ask? By allowing their controversial NBA analyst, Stephen A. Smith, to discuss it on their flagship program, SportsCenter. Smith, unimpressed by the streak, attacked long-time hockey analyst Barry Melrose, barely letting him get a word in while he attacked with nonfactual arguments. My gripe with Stephen A. Smith’s prideful ignorance has more to do with ESPN than Smith himself. It is not surprising that a basketball guy thinks poorly of hockey. To be honest, I doubt you’ll ever find me mentioning basketball on the Wedge, unless of course I’m discussing this year’s top NHL prospect Seth Jones, the son of former NBA player Popeye Jones. But more to the point: ESPN, in their quest for higher revenue and ratings, fails to cover the NHL with the integrity and fairness it deserves. Until this changes, ice hockey will forever be the little brother of North America’s big 4 sports. Let’s just hope that the reporter there was not Stephen A.
Brunch: Now When You Say, “Classic”…. Here it is! Today’s the big day! It’s the WBC! The Baseball event we’ve been waiting for! 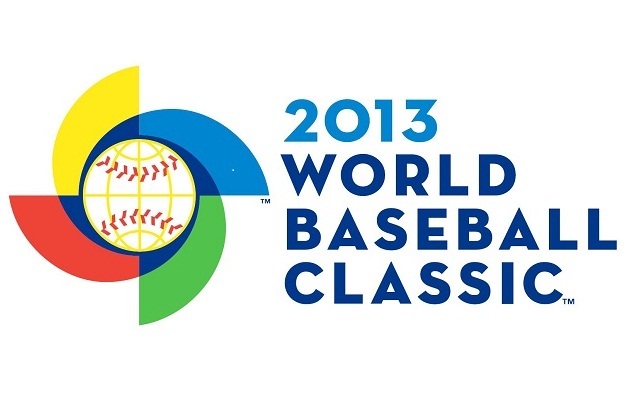 For the third time now, ESPN has done a subpar job promoting the World Baseball Classic. Running until March 19, 16 countries will be competing for a trip to the Championship Round at AT&T park in San Fran. There are two newcomers to the field this year, involving a new wrinkle in the rules. A qualifying tournament was held for the last two spots in the tournament, which in the past two Classics were given to Panama and South Africa. Ladies and Gentlemen, please welcome the national teams from Spain and Brazil! Two countries that are so accustomed to their teams dominating one sport are sure to love watching their homeland getting destroyed by the likes of Chinese Taipei. The real draw of the WBC is that no other major baseball tournament had ever before used MLB players. And the USA roster has a decent amount of firepower. David Wright, Brandon Phillips, and Mark Teixeira provide a solid infield and Ryan Braun could provide the power necessary to give the USA its first medal. Oh, you didn’t know? Team USA has yet to medal in either of the previous two Classics. Truth is, this field is very competitive. There are 11 All-Stars on Venezuela’s roster, including Miguel Cabrera, and they finished third last time around. But the real trouble is in the Far East. Japan is fielding an all-domestic team this year, so no namedropping necessary. The WBC has been the most watched sporting event in Japanese television history, and why not- they are the two-time defending champions. Their biggest rival is South Korea, who also has a roster filled with players you’ve never heard of. Just know this: South Korea is 12-4 all-time at the WBC, with all 4 losses coming at the hands of the Japanese. Am I going to watch the Classic? Probably not. Truthfully, it’s just not classic enough for me. This is only its third time around, and half of these teams are likely to get trampled early (I’m looking at you, Brazil). Now the Big East Tournament? That’s Classic. And it’s the last one, so damned if I miss one last showdown at MSG. BUT, the Big East tourney ends on the 16th. The WBC Championship is March 19. So I’ll be there to bandwagon for whatever team makes it to California. But with seven months of baseball ahead of me, can’t I just enjoy March Madness?